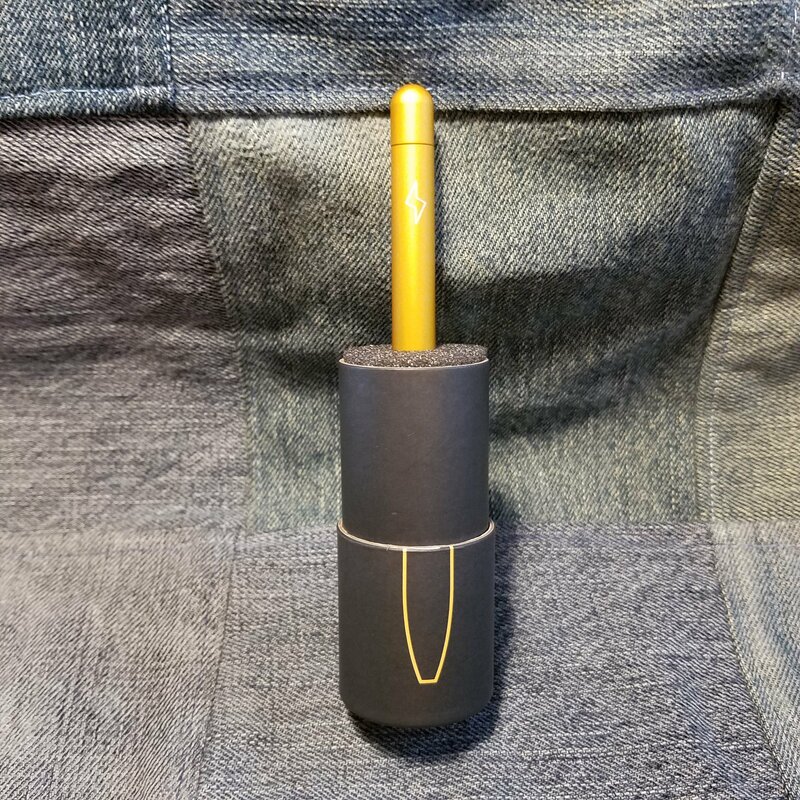 Anyone who reads this blog knows that I love the Baron Fig Squire. 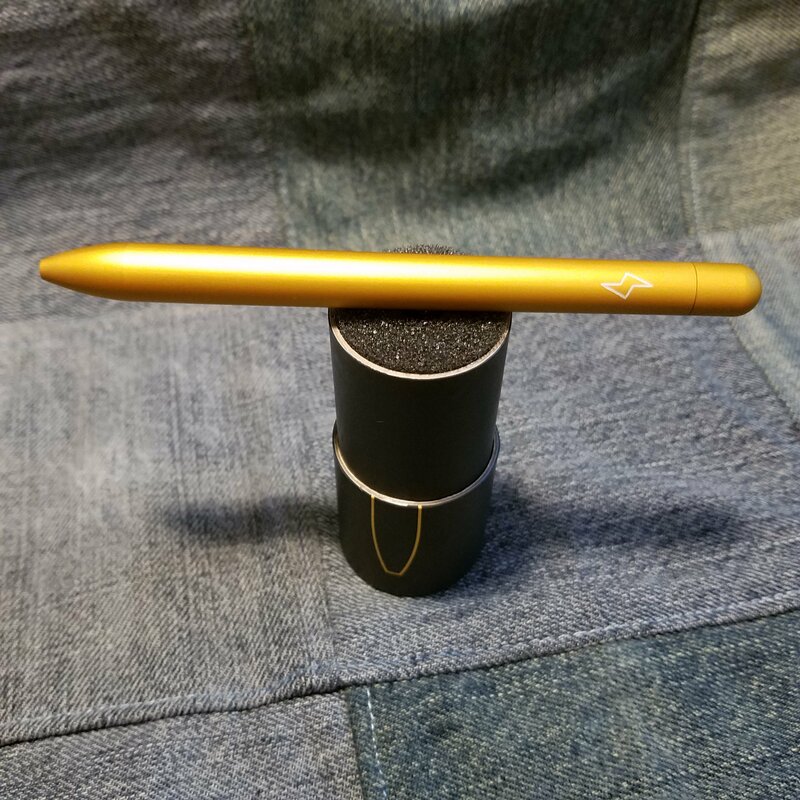 It’s a solidly built pen that performs well and feels great in my hand. The lightweight aluminum body isn’t so light that you don’t know that it is there but not so heavy as to tire your hand. 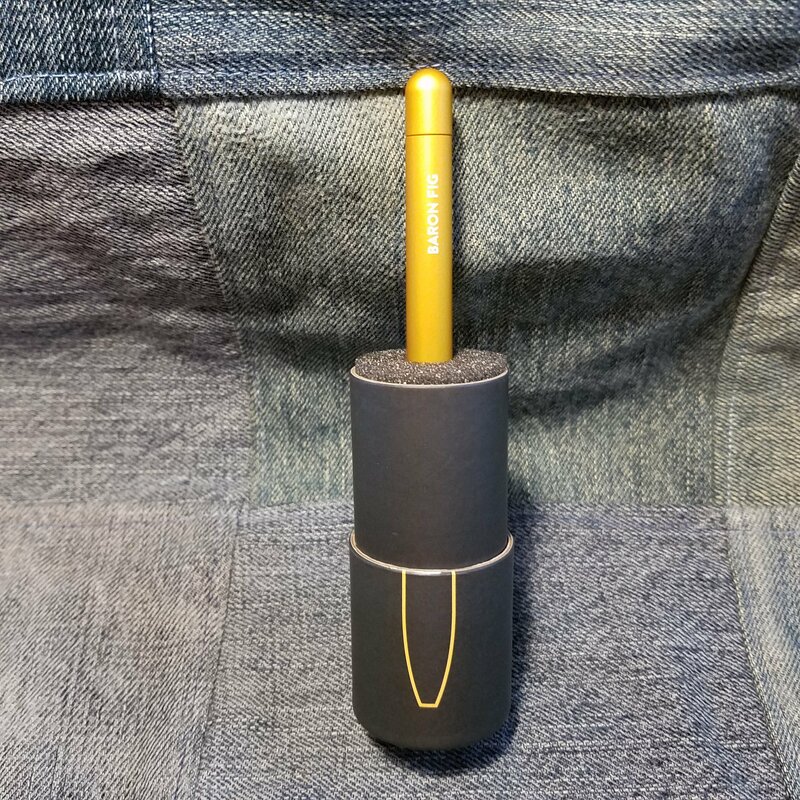 Overall if you are looking for a great pen body, the Squire is a lovely addition to your pen carry. I’ve reviewed the Squire fully in the past so I’m not going to go into the nitty gritty details. Today I’m just going to discuss the new limited edition, Bolt. 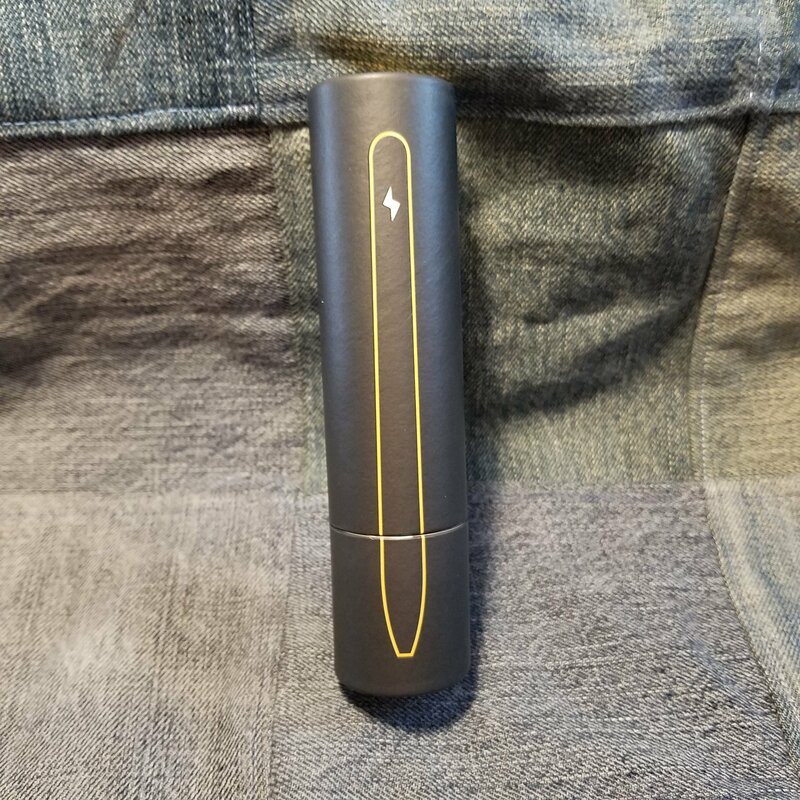 The Bolt has a simple lightning bolt icon inscribed into one side and a simple Baron Fig on the opposite. 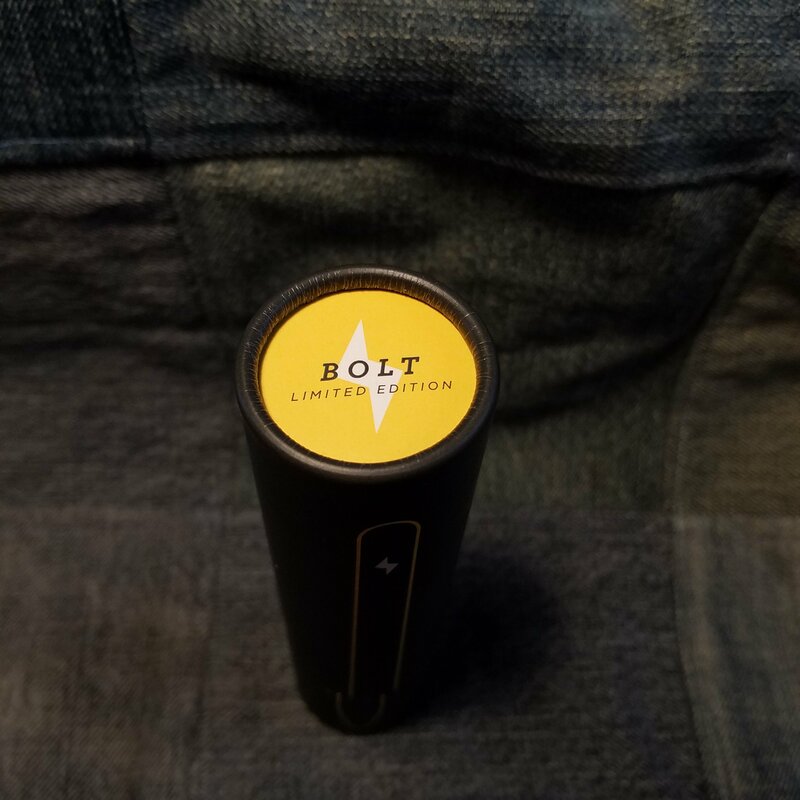 The color of the Bolt is a bright harvest gold, the color of autumn leaves at Halloween. The anodized coating nearly glows in the right lighting. It’s bright but not garish. 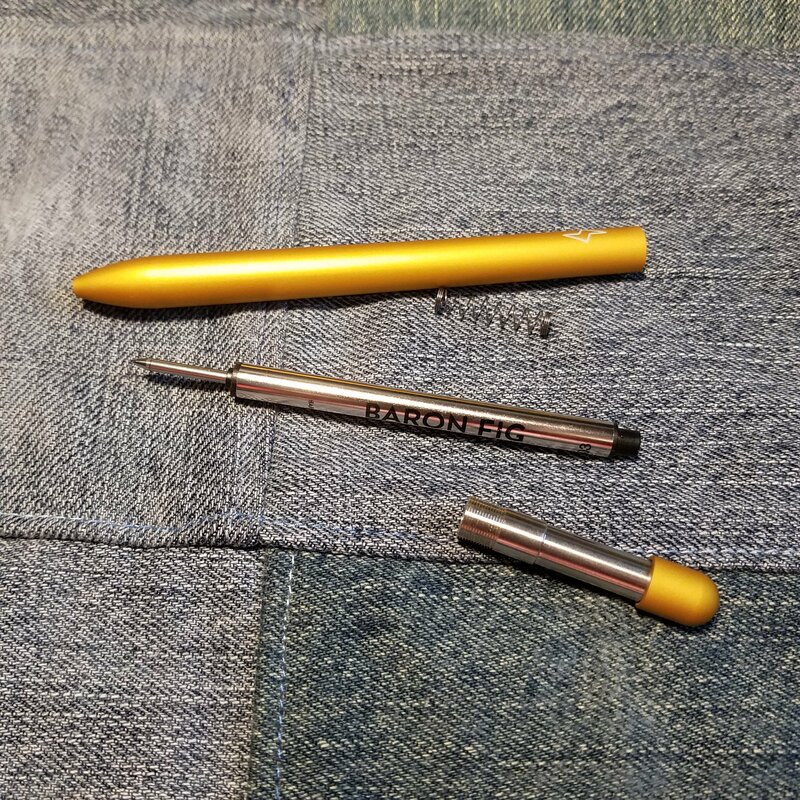 Did Baron Fig figure out the perfect shade of yellow? I think so. I’ve said it before, yellow is far from my favorite color, but this pen, I reach for it almost as often as I reach for the Experiment. 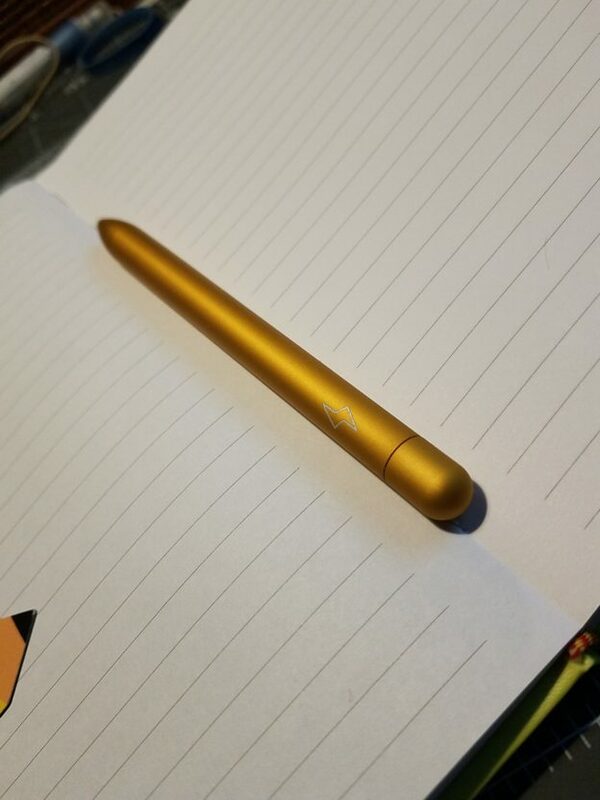 The gold colors stands out among my pens and the little lightning bolt icon reminds me of Harry Potter. Maybe I’ll pen my own fantasy novel with Bolt as inspiration. This entry was posted in Review on 20180815 by leslie.